Having recently split from her boyfriend, young actress Julie (Leonor Baldaque) travels to Lisbon to shoot an avant-garde period romance. 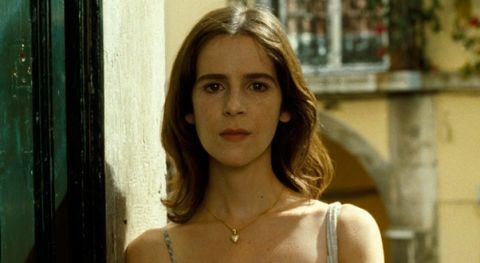 In her free time she meets an orphan boy (Francisco Mozos) and a real-life nun (Ana Moreira), prompting a moment of epiphany. Director Eugène Green adopts a deliberately artificial approach to his leisurely plot, with self-referential touches and the cast stiffly delivering dialogue straight to camera. Despite the distancing preciousness, there are compensations in the beautiful Lisbon vistas, fado music and unexpectedly moving resolution.